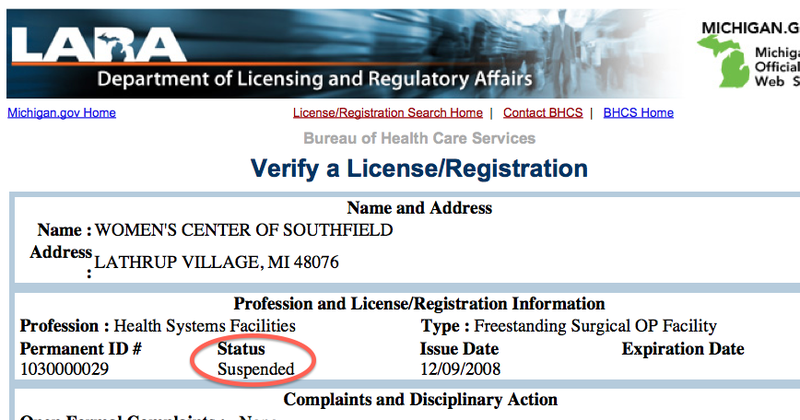 Former clinic abortionist: Abraham "Alberto" Hodari Former clinic abortionist: Jacob Kalo Former clinic abortionist: Reginald Sharpe Former clinic abortionist: Theodore Roumell Michigan abortionist operating multiple clinics without proper licenses Disciplinary -hod-fine imposed 3/18/2008. Abortionists Reginald Sharp and Theodore Roumell no longer affiliated with this facility. Facility license suspended. Abortions halted December 23, 2014. Letter of survey violations from September 30 inspection: Abortionist did not clean his hands before of after procedure, did not do vaginal prep, did not discuss procedure with patient or offer to show patient ultrasound; assistant contaminated medical supply cabinet with dirty gloves; clinic failed to maintain transfer log or emergency medical supplies; etc. Letter of survey violations from June 17 inspection: Clinic had no receptionist on duty, no registered nurse on duty, left patient unattended, and an out-of-compliance narcotics log. Letter of survey violations from July 24 inspection: Clinic is out of compliance with medical staff bylaws, handling and documentation for narcotics count, staff training, etc. State inspectors found violations for four out of six complaints. 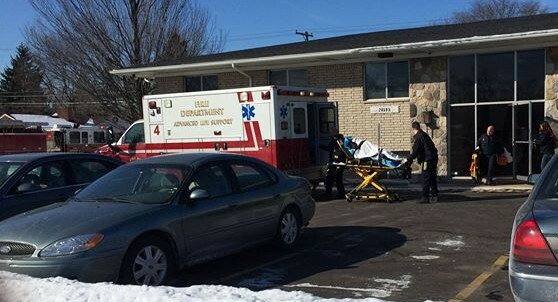 Case in review involved patient who was transported to the hospital after a botched abortion. Abortionist lacerated the woman's uterus and left the fetus' head attached. Roth's attorney says he is not doing abortions at his Southfield abortion clinic that had its license suspended for violations, but a call to that office on 12/22/2014 indicated that they were still scheduling abortions. They halted the practice only after news media exposure.